The townhouse condo community is within walking distance to the Franklin State Forest. There are extensive walking and biking trails in this sprawling 883 acre woodland preserve. 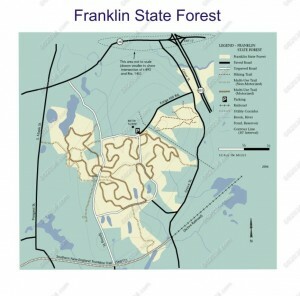 There also is a car parking area for the State Forest on Forge Hill Road in Franklin, Massachusetts. At the end of Forge Hill Road in Franklin and just a one minute drive from Stone Ridge, Massachusetts is the Hockomock Area YMCA. This facility is a real asset to the Franklin community. 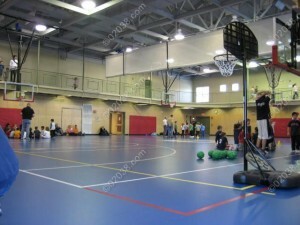 The spacious, new complex has indoor and outdoor pools, an indoor running track, indoor basketball courts, and a large weight training and exercise room. There are lots of programs for people of all ages. Stone Ridge residents are very fortunate to live so close to these wonderful recreational resources! Click the link to learn about other recreational resources in the Town of Franklin, MA.